I am not too big on furniture, but now and then, I come across a piece of furniture that I just can’t get out of your mind. After all, for all of us who work from a home office (though I don’t really think where I work can be called even that! ), making sure that the working place is as comfortable as possible is of prime importance. I don’t think that it is a secret that I prefer working on the couch or on the bed, but sometimes, it really boosts productivity when you work from a desk. But what if you can have the best of both worlds? That is, a couch and a desk in one go? This is primarily the reason that this Lift-Up Table Mechanism caught my eye. While you may have the prettiest coffee table in front of your comfy couch, you certainly will end up killing your back if you try using that coffee table as a desk. 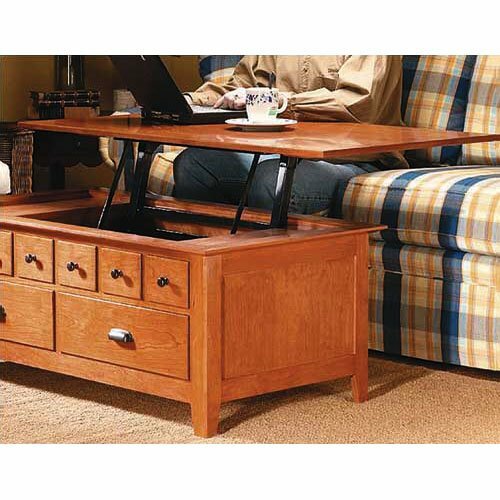 With this Lift-Up Table Mechanism, though, you can sit back and relax on the couch while you type away with a stable surface in front of you. I think the Lift-Up Table Mechanism is actually designed for couch potatoes who want to sit in front of the TV while eating dinner – and that works just as perfectly! Whatever it is that you want to do, as long as you need that height and stable surface in front of the sofa, this nifty piece of furniture will satisfy you. You can get the Lift-Up Table Mechanism from Amazon for less than $200. Unfortunately, it is out of stock. Then again, if you’re an awesome DIY-er, you already have the idea, and you simply need to execute it. Don’t blame me if you never get off that couch again.